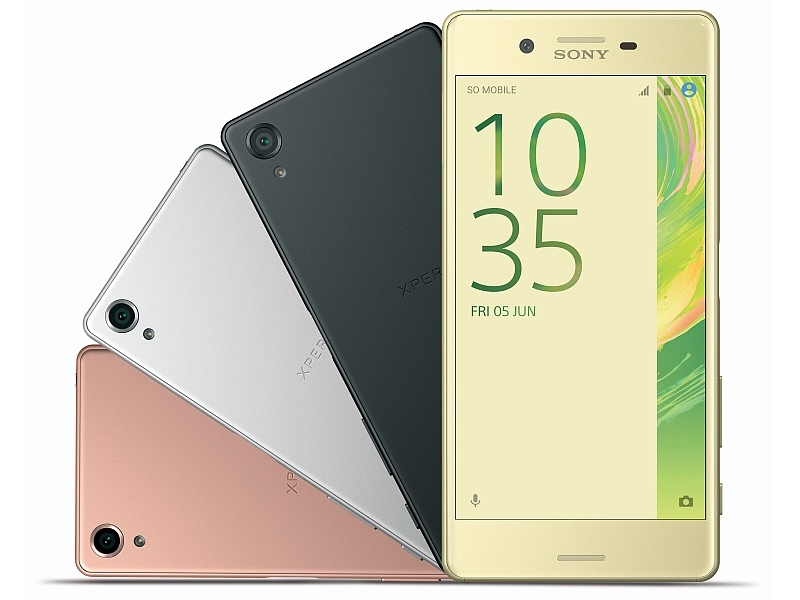 Sony on Monday has launched its Xperia X series of smartphones in India, with the Sony Xperia X Dualand Sony Xperia XA Dual. The Xperia X Dual (seen below) has been priced at Rs. 48,990, and will be available from June 7; while the Xperia XA Dual (seen above) has been priced at Rs. 20,990, and will be available from the third week of June. There is no word of the Sony Xperia X Performance Dual, which was launched alongside at MWC 2016. The two Xperia X-Series smartphones have gone up for pre-booking via the Amazon.com, and authorised Sony retailers across the country. Sony is also touting launch offers with the two smartphones, specifically, Rs. 2,700 worth of free content in the form of a three-month subscription to Son Liv, a three-month subscription to Hungama Play, and Kindle ebooks worth Rs. 1,000. The Xperia X Dual will come bundled with Gameloft games alongside free credits worth Rs. 780. Both Xperia X Dual and Xperoa XA Dual smartphones run Android 6.0 Marshmallow with company’s UI on top. The Sony Xperia X Dual features a 5-inch full-HD (1080×1920 pixels) Triluminos display for mobile powered X-Reality for mobile engine; a 23-megapixel rear camera with an f/2.0 aperture and a 1/2.3-inch Exmor RS sensor, predictive hybrid autofocus, and pulse LED flash; 13-megapixel front camera with an f/2.0 aperture; 3GB of RAM; 32GB inbuilt storage, expandable storage support up to 200GB via microSD card, and 4G LTE support. The Xperia X Dual packs a Qualcomm Snapdragon 650 processor. The Sony Xperia X measures 142.7×69.4×7.9mm and weighs 153 grams. It is backed by a 2620mAh battery. The handset’s dual-SIM version packs 64GB inbuilt storage. The Sony Xperia XA Dual features a 5-inch HD (720×1280 pixels) display powered by Mobile Bravia engine 2. It is powered by a MediaTek MT6755 coupled with 2GB of RAM and 16GB of built-in storage. Like the Xperia X, the Xperia XA Dual also supports expandable storage via microSD card (up to 200GB). The Android 6.0 Marshmallow smartphone sports a 13-megapixel camera with Exmor RS for mobile sensor, hybrid autofocus, and LED flash. It also houses an 8-megapixel front camera. It is backed by a 2300mAh battery, measures 143.6×66.8×7.9mm, and weighs 138 grams.